This advertising section is for paid ads. If you are looking for the FREE listing head over to our Free Business Listing page. Ready to take your business to the next level? Get found faster. We have a variety of advertising packages available that are customizable and affordable. We are a content driven information center assuring that your ads will be seen by consumers in need of your product or service. We are constantly improving our site with new technologies for presentation, ease of use, and search function. We invite you to grow with us as we grow your business footprint on the web. Our site is now mobile smartphone friendly adding a new dynamic of how consumers get your information fast and on the go. Please choose your upgraded business listing selection. Upgraded business listings include a direct link to your website. The link will be in colored bold italic text. Premium listings will run on direct associated pages. The snowmobile listing below would run on the snowmobile page. It would not run on a real estate page. For ads on pages that do not pertain to your subject matter use the Business Banner ads. Come and enjoy Central Oregon from a new perspective. Discover Mt. Bachelor, tour hundreds of miles of trail systems, or cruise the local lakes and reservoirs. Central Oregon Rentals has the right rental vehicle for you. We rent some of the latest model Yamaha Snowmobiles, Jet Skis, Ski Boats and ATVs for your vacation adventure. 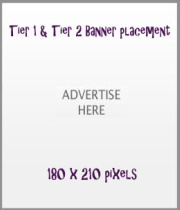 Business banner listings can be run on any page regardless of association to that page. For example the above Snowmobile ad could be found on the Real Estate page with banner placement. PerkStop Daily Deals is a great way to get your discounted product or service out to your future customers fast. Your customers can find you by computer, pad, pad computer or smartphone as we are mobile friendly. Your customer can easily flash their mobile device or print out your ad coupon to get your great deal or service. Please enter your business contact name. Please enter your business location. After submitting your request we will contact you via phone or email to confirm your advertising needs and information.